Russian Security Council Secretary Nikolai Patrushev admitted that Pyongyang’s behavior has put Russia at risk, but noted that Russia will not allow military action against North Korea. MOSCOW (Sputnik) — Russia is examining the possible outcome of a military option in dealing with the North Korea crisis, Security Council Secretary Nikolai Patrushev has told Sputnik. Asked whether Russia had any contingency plan in place for a potential military solution to the standoff over the North's nuclear ambitions, he replied that "we are assessing this and preparing ourselves. We will not be taken by surprise." Patrushev admitted that Pyongyang’s behavior put Russia at risk. "We basically share a border with them. That’s why we are interested in a political and diplomatic solution." "If there is military action – and you know some countries do not rule it out – this would create all sorts of problems, including for us," he said. "But we cannot let that happen." Tensions on the Korean peninsula escalated Wednesday after the North launched its new intercontinental ballistic missile. Pyongyang claimed the ICMB put the entire territory of the US within its striking range. The United States responded with new threats of using military force against the reclusive state. Speaking at an urgent UN Security Council gathering, US ambassador to the UN Nikki Haley warned that the continued acts of Korean aggression could lead to a war that would leave North Korea’s leadership "totally destroyed." Meanwhile, the Kremlin called the ballistic missile test, which violated UN Security Council resolutions, a provocation. Russian Foreign Minister Sergey Lavrov on Thursday said options for stepping up sanctions against the North were all but exhausted and warned Washington its response could only exacerbate the crisis and make the North’s leader "snap." North Korea has launched several missiles in recent months and held its largest nuclear test in September. 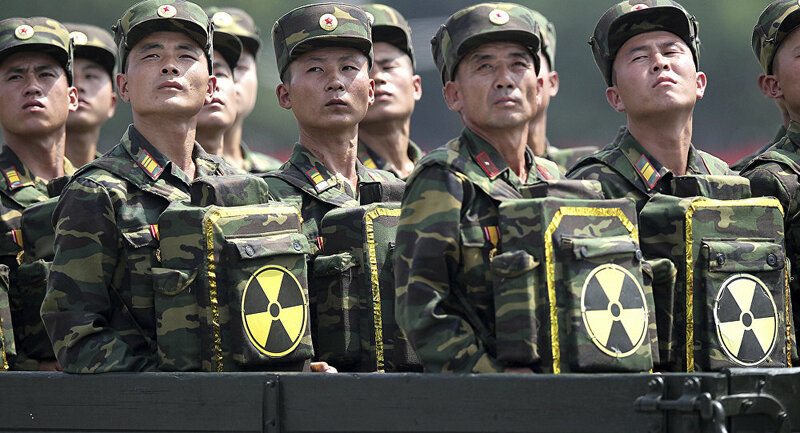 Pyongyang argues that nuclear status would protect it from US hostility.